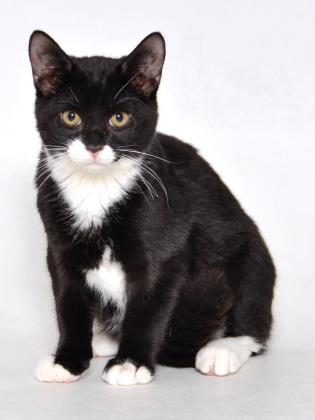 Jon Snow is a confident, affectionate male kitten born about October 2018. He was found as a stray with his sister Sansa when he was about 8 weeks old, and has been nursed back to health by our friends at the shelter. His sister Sansa has found her forever home - will Jon find his with you? To meet Jon Snow, please contact Kat p.
Come and meet our PAW cats at one of our weekend adoption shows at local area pet stores. All the cats don't attend every adoption show so if you are interested in meeting a particular cat send in an email to make arrangements. PLEASE NOTE: We only adopt our animals to locations within one to two hours of the MD/DC/VA metropolitan area.